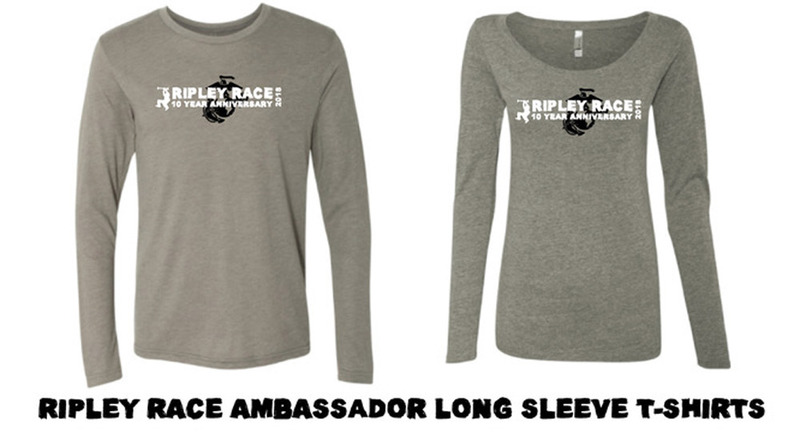 You get custom Ambassador Ripley Race long sleeve T-shirt! Displayed as part of your profile. Stacey Elwood is participating in her 3rd Ripley Race and 1st as a Race Ambassador. She lives in Annapolis with her husband and two sons. As a Gold Star Family member, she is proud to lead the “Hillsmere Hornets” in a wonderful race that supports veterans and their families. Greg Jacobson is currently Sr. Director of US Systems Integrator business at NetApp, Inc. NetApp is the leading supplier of Storage and Data Management solutions to the US Federal Government. Greg lives in Annapolis, MD with his wife and four children. He’s an avid part time musician and can be seen playing around town (and at the Ripley Race) with his band We’re Not Handsome. He also enjoys boating and running. Stephen Duffy is the Senior Vice President of Development for Towne Park, an Annapolis based company whose 10,000 employees provide parking and guest-services to over 600+ hotels and healthcare facilities in 42 states. Stephen lives in Annapolis with his wife and four children and spends his free time enjoying life on the bay and on lacrosse fields all over the mid-Atlantic. Sol Sollerer served 22 years in the British Army, in varying roles as a Sapper in the Royal Engineers; he is Commando and Military Diver trained. He has seen active service with 3 years in Northern Ireland, dive team and high risk search, including security for President Clinton’s visit to Omagh in 1998; UN and NATO tours of Bosnia, 3 tours of Iraq and 1 of Afghanistan. During his operational experience he has proven interoperability with Allied Forces, including in 2003, being attached to the USMC in Iraq to give Sapper capability. Sol was also part of an Iraqi Army training team on a subsequent tour, with US Army personnel also attached. Sol retired from the Army in 2012 and made a smooth transition to civilian life, settling in the Annapolis area, being married to an American woman called Christina. Jenny Erickson is the Director of Media Relations for the U.S. Naval Academy, where midshipmen continue to entertain and inspire her to do awesome things. She enjoys rec league sports, outdoor activities, and just completed her first sprint triathlon this June. Jenny is an alumni of Michigan State University, where she met her treasured dog, Roxy. She has been a part of the Ripley Race team for five years and this year will lead a team for the Ignyte Fitness family. Kelsa McLaughlin has participated in 4 Ripley Races as the Team Ambassador for Hillsmere Elementary, this year she is excited to be leading the St. Mary’s Annapolis Team. Kelsa lives in Annapolis with her husband and their two daughters. She spends most of her time volunteering in educational endeavors and coaching field hockey, lacrosse, and Girls on the Run. Kelsa loves everything the Ripley Race stands for and the support it gives to our Military service members. Mary Clare Coghlan has been apart of The Ripley Race for 3 years. She loves the great cause of the race and all of the wonderful people involved. She enjoys helping with veteran non profits and coaching youth volleyball in Annapolis. Susan Thaxton is President and Founder of Wye Oak Consulting, a small firm specializing in strategy and business coaching for small to mid-size businesses and non-profit organizations. She lives in Annapolis with her husband, Mickey, and her two daughters, Katie and Pippa. She has participated in a number of Ripley Races and always finds it to be both an inspiration and a reminder of the amazing people who commit to our country and our community so selflessly. Susan’s has many ties to the military — many, many, many moons ago, she was a Naval Officer; her husband, Mickey, had a full Naval career, her brother is in the Marine Corps, and her brother-in-law is in the Navy. Susan also has a love of running and the positive power it can have for people. Susan has been a Girls on the Run coach, as well as President of the Board for five years. The Ripley Race provides an amazing opportunity for the Girls on the Run Community to connect with our veterans, active duty military, and midshipmen to see in action the force for good that running can be.